How wonderful. 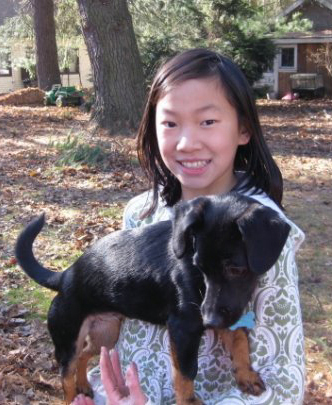 Our first female puppy was going home to live with a little girl named Lily. It brought back a difficult memory. This is a sad story. It's hard to tell and to hear but it's what ultimately moved me in the direction of the Black and Tan Jacks. 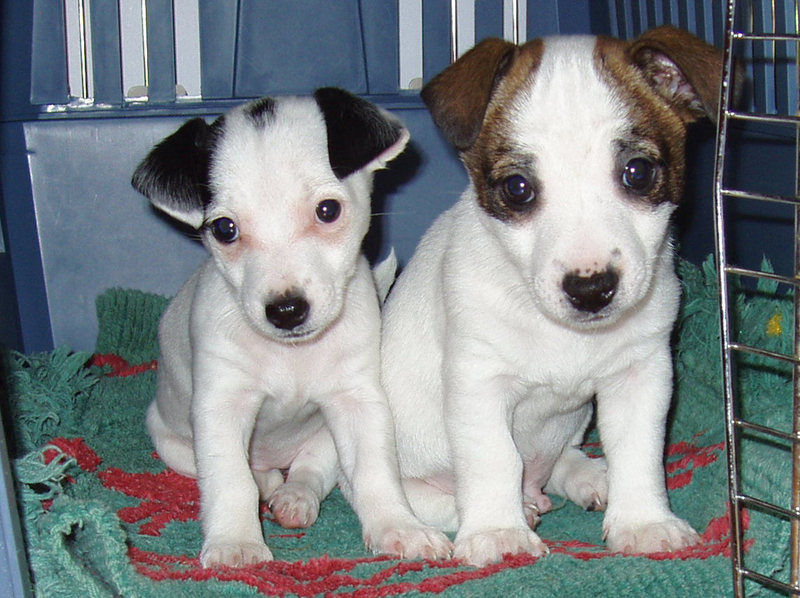 We had two wonderful little Russell Terriers, Duke and Lily. Lily was a beautiful dog with a wonderful spirit and she was "my" dog. The story begins on a beautiful sunny winter day in March when my daughter Teresa and I decided to go for a walk. Teresa was three days overdue with her daughter, Elodie and needed to get out because cabin fever was setting in. On this particular day we had a large amount of snow on the ground so we were walking on a packed snowmobile trail that ran through forests and fields. My two little dogs, Duke and Lily were with us as well as four big dogs, Roxy, Cole, Zeke and Maximus. We were a ways from home when the trail wounding through the woods opened up into a field. Almost instantly the dogs surrounded a skunk, the skunk sprayed and one of the big dogs picked my Lily up by her back and shook her to death. It happened so fast! She was gone! It was so horrific. I was so traumatized, it did not sink in at first that she was dead so I started running across the snow packed trail with my Lily in my arms, to get to civilization and to someone who could help me get Lily to a veterinarian. Once I reached help I looked at her and realized it was too late. Lily was dead. I cried and cried. It seemed almost hysterical at times. I cried as hard as I can remember ever crying. Today it even brings tears to my eyes and a squeeze to my heart when I think about her and about losing her. A month went by. I was lonely for Lily’s company and the joy she brought to my life. 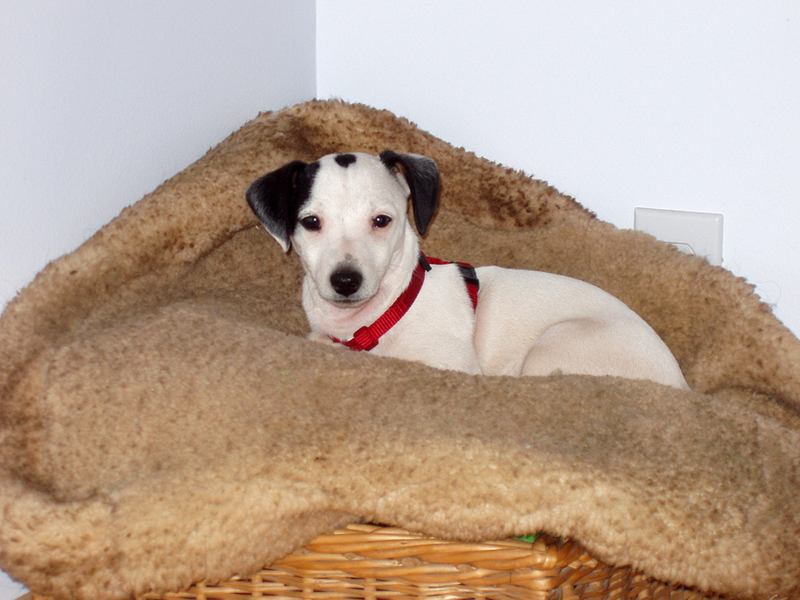 On a whim I decided to start a web search to see if I could locate the perfect little "Russell Terrier". It was impossible to find the rights Russell and not going to happen for they were not my Lily. 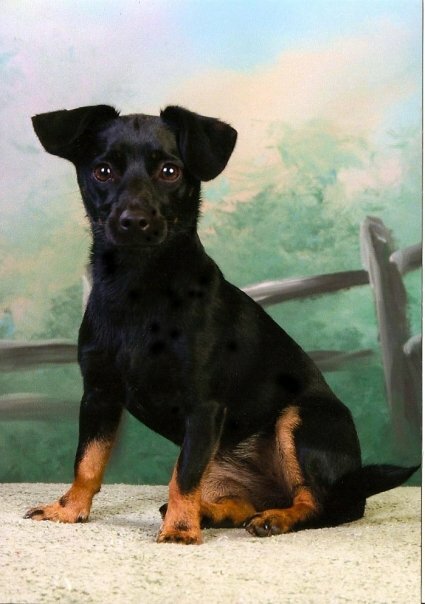 Low and behold while surfing the web I ran across the sweetest little Black and Tan Russell Terrier puppies. It was love at first sight. I contact Sheila of Connemara Terriers' with a hundred and one questions about the unique and beautiful little Jacks that were advertised on her website. 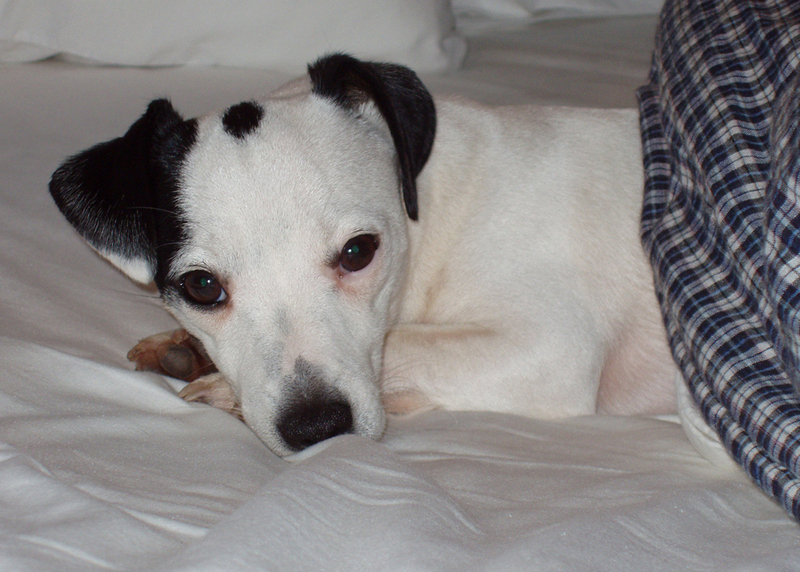 In the summer of 2006 Sheila was back and forth between the USA and Ireland searching for Russell Terrier puppies for her kennel. She decided to see what kind of reception the Irish Black and Tan Jack Russell Terrier puppies would get in the USA and brought just a few back from Ireland. Sheila and I reached an agreement. She imported several Black and Tan Jack puppies. Just for me and the rest is history. Now the circle is complete. My first female puppy went home to live with a little girl named Lily. It was destiny. It was fate. It helped lay to rest my sadness and heart ache. Lily, I miss you. Bless you Lily. “Aislinge” The Old Irish meaning is "a vision" or "a dream". Raising wonderful puppies to be companion pets for families was my dream and my vision. 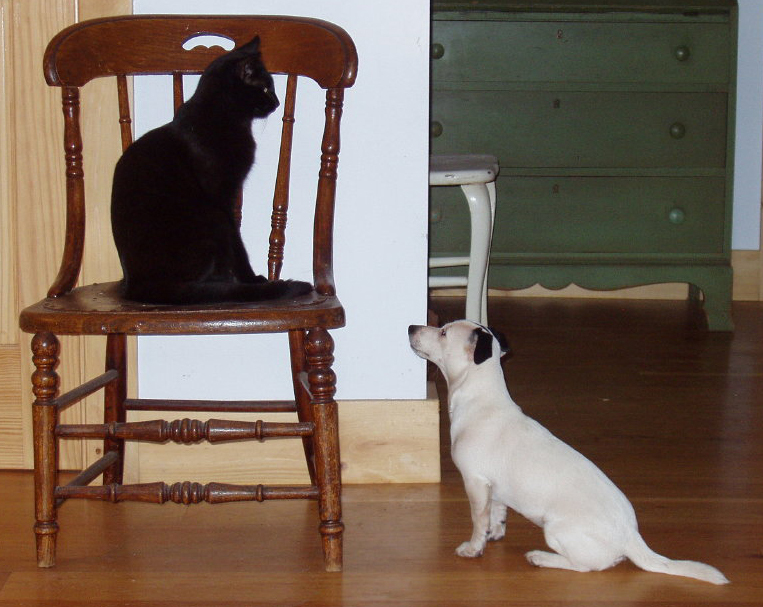 Lily with her beloved Maggie in 2010. Our first female puppy, from our very first litter of puppies at Aislinge Bray Terriers went home to live with a little girl named Lily. A portrait of Maggie at 2 years old. Lily, comfy in bed. Lily and Tiki at their favorite pastime. The day Lily and Duke came home.